This competition has ended. The winners can be seen here. President Obama’s BRAIN Initiative has brought brain mapping to the forefront of popular science. 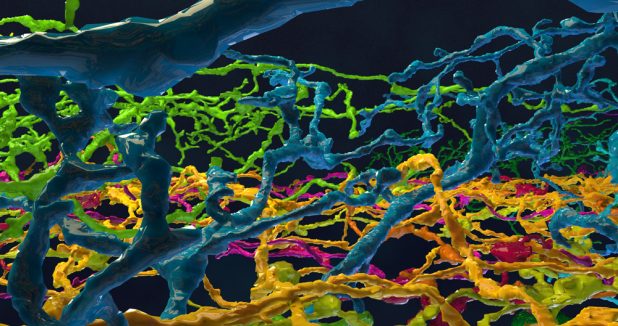 But what does it mean to map the brain? One human brain contains seven orders of magnitude of spatial complexity and at least 10 orders of temporal magnitude. 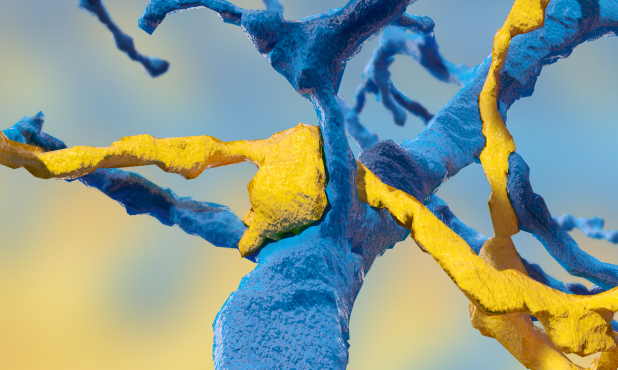 These numbers are hard to fathom so MIT’s EyeWire has teamed up with FEI and Visually to launch a “Scale of the Brain” Infographic Competition. Entries should visualize spatial scales in the brain. Information is represented accurately and communicated clearly. Sources for additional information not in the creative brief should be included according to best practices (use original sources whenever possible). Story/layout is engaging and insightful, helping to pull the viewer through the graphic. The infographic’s design should be attractive and captivating without detracting from the communication of the information. Illustrations, layout, font, and color choices are all important. Each judge gets 10 points per category. All categories are totaled for each group. Totals from each judge are averaged together. Highest average wins. All entries to the competition should be licensed under creative commons so that the entries may be used in whole or part as educational materials anywhere. The creative commons attribution 4.0 sign should be included somewhere on the design. The winning entries will be asked to add the logos of FEI, EyeWire and Visually, along with their own logo or name. The format of the graphic is up to you. We don’t want to restrict creativity, so feel free to create any visual experience that satisfies the criteria listed above. Infographics are the format we anticipate getting the most, however interactive web pages and videos are also welcome and will be judged on equal footing. Send all submissions as links or attachments to contest@visual.ly before April 30th at Midnight, PDT. Questions about the contest can also be directed to that email address. The spatial scale of the brain ranges from meters to nanometers, with plenty of gradations in between. This quick summary will get you started, and these images are a great visual reference. This design competition is a chance to let your creative freedom run wild. Do research to bring these numbers to life and to add conceptualizations of scale. For example, if each neuron in a human brain was a person, that brain could populate New York City 10,000 times or if you lined up synaptic vesicles side by side, you could fit over 10,000 on a crosssection of one human hair.